What Is Depression and Why does it Come? More and more people are suffering from depression in the UK and it is one of the chief reasons why people first come to counselling. The Office for National Statistics says that 1 in 10 Britons suffer from it in any given year, though the figure is rising and has been for some time. This makes depression, together with its cousin acute anxiety, the most common mental health issue in the UK. It affects all age groups and professions and both sexes, although it is slightly more prevalent in women than men and also within older people. Some people suffer recurrent bouts of depression (Winston Churchill, Woody Allen, Charles Dickens, Isaac Newton, Mozart, JK Rowling and Angelina Jolie, for instance), whilst others may have only one or two episodes. Thankfully, the old stereotypes and stigmas surrounding depression and other mental and emotional health issues are breaking down more and more as time goes on. It is likely that every one of us will know more than one person who suffers from depression – whether it be a spouse, a close friend or a family member. Studies in NZ and the USA have shown that just over 1 in 2 adults suffered some sort of mental health problem over the course of their lives, of which depression is the most common. Although a lifetime study has not been done in the UK, it is likely that things are similar here. 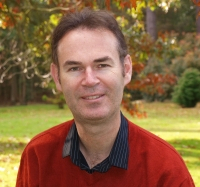 Although depression can involve bio-chemical surges within the body, there is growing opinion that the emotional problem, whether conscious or unconscious, comes before the chemical imbalance – for instance, the eminent psychiatrist, Professor Michael Baigent has said that reducing depression to chemicals and antidepressants was "dumbing down;" and Professor Jon Jureidini said that there was a ''complete lack of evidence'' that a chemical imbalance in the brain causes depression. There is general agreement that we need to look instead at the psychological reasons for depression. There are many perceived wisdoms about depression which actually help to highlight its nature. For instance, it is said that "depression is anger turned inward." That is usually correct. Counsellors and psychologists will tell you that many people who have depression are deeply angry about something, though it need not be another person and it may well be quite hidden and need coaxing out. Sometimes, the anger can be at life or with themselves. It is said that depression is "a crisis of meaning." Generally speaking depressed people have some sense that life is passing them by or that they are destined to remain "unfulfilled" and that there is not much point to things – though this may be well buried, denied or consciously avoided. It is surprising how many clients who come in feeling down or depressed end up realising, in therapy, that they feel a vacuum of meaning in their life. As the Irvin Yalom says, "we are meaning seeking creatures." Added to that, the materialistic society brainwashes us into thinking that what is valuable is how much we earn and what we do, rather than who we are. As a consequence many people have felt squeezed into becoming human-doings rather than human-beings. This can lead to sadness and even despair. That brings us onto the thought that "depression is a crisis of the soul." If we take "soul" to be how we view our essence and deepest position as a human being, then that is also mainly true. And when we are lost inside there are often strong self-esteem issues to go with that. The poet and psychologist Stephanie Sorrell discusses the rich, growthful implications of this in her wonderful book Depression as a Spiritual Journey. Naturally enough, it is also said that depression is the ultimate way our bodies and minds can let us know that there is a serious problem that needs to be addressed. Of course, what the problem is isn’t always so easy to work out. Some people suffering from depression may know straight away what has triggered it or what is behind it – the two are not always the same thing and one may be more apparent than the other. A good therapist will help their client to look at what is happening in their life and try to work out how to move forward out of the depression. Depression is often triggered by loss – for instance: the end of a relationship, the children going off to school or university, losing a job, divorce or the death of a loved one. Depression can also be about denial. People will deny and deny problems both in their head and to others until there comes a point when they cannot deny them any more. At that point, a crisis is reached and they often become depressed. Because of this, depression often involves issues of self-awareness – either the depressed person has little of it or else they have a huge amount of it regarding a problem in a specific area. Although it’s very difficult to be in a depression and to suffer the physical, mental and emotional states that go with that, depression does give the sufferer a chance to make a new start. So the good news is that many people who come out of depression are happier than before they became depressed. Depression can offer the opportunity to make positive changes in lifestyle. It can be a real wake up call, and in time, a drive towards something better. The word ‘depression’ can be a cover all for a lot of symptoms and behaviours. These may include wanting to withdraw from life; feeling down, sad or empty; inability to sleep; loss of libido; great tiredness; lack of concentration; a feeling of joylessness; lack of pleasure in previously enjoyed hobbies; feelings of meaninglessness and very low self-esteem. Stronger forms of depression often involve suicidal thoughts. Depressed people don’t become selfish so much as incredibly self-obsessed, but then given the inward nature of depression, what else could they be? This “ingazing” can be put to good use by a counsellor, who can act as a guide and facilitator towards positive change. The solitude engendered in depression can bear rich fruit if the right support is in place. Coming out of depression can feel like renewal. Counsellors can deal with depression in a wholly different way from doctors. A GP may prescribe anti-depressants, but that will only help alleviate the symptoms (which is still a very useful thing) rather than act upon the root cause. A good therapist will work carefully and supportively to find the cause of the depression and help the sufferer to re-engage with life, joy and meaning. If the therapy goes on for long enough and the right things are discussed and worked through then the chances of the depression coming back are lessened and if it does the chances are the client will be in a much clearer and stronger place to get through it. I can't get up and face the world in the morning... Dreams - what do they mean? Do they have any use?